Science communication is a rapidly expanding area and meaningful engagement between scientists and the public requires effective communication. 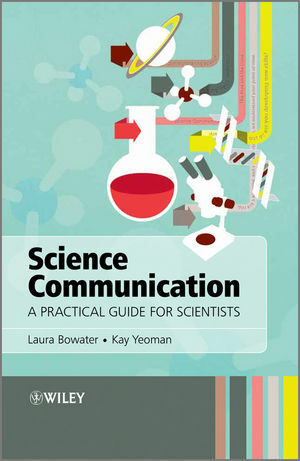 Designed to help the novice scientist get started with science communication, this unique guide begins with a short history of science communication before discussing the design and delivery of an effective engagement event. Along with numerous case studies written by highly regarded international contributors, the book discusses how to approach face-to-face science communication and engagement activities with the public while providing tips to avoid potential pitfalls. This book has been written for scientists at all stages of their career, including undergraduates and postgraduates wishing to engage with effective science communication for the first time, or looking to develop their science communication portfolio. Laura Bowater has recently been awarded a Public and Community Engagement Award from CUE (Community University Engagement)?East, the Beacon of Excellence in the Eastern region. Kay Yeoman's work has been recognized by a nomination for the Royal Society Kohn Award in 2008 and also a Public and Community Engagement Award from CUE East the Beacon of Excellence in the Eastern Region.